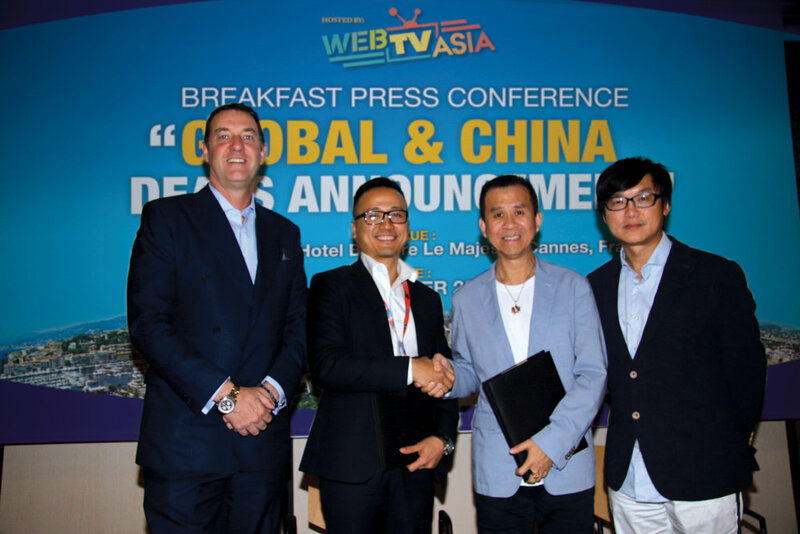 CANNES, 16 OCTOBER 2018 – WebTVAsia, a leading Asian media entertainment group with production studios and digital networks, today announced a new MTV short-form content collaboration deal with Viacom International Media Networks, a division of Viacom Inc. (NASDAQ: VIA, VIAB), aimed at delivering short-form videos to engage China’s Generation Z today. This was jointly announced at a signing ceremony at MIPCOM today. Under the agreement, WebTVAsia will have exclusive streaming rights to select made-in-China short-form content from the MTV library to be streamed on WebTVAsia’s partner platforms in Mainland China. At this initial stage, the made-in-China content is made available first on Tencent’s recently-launched Yoo Video, a short-form video app. This marks the first time made-in-China MTV content and other clips with a youth and music focus, is made available on an on-demand video platform in China. The leading youth entertainment brand will deliver MTV made-in-China music-based programming content including MTV music charts, brief artists’ interactions under MTV Star Explorers, music genres’ showcase, MTV News, pop culture features, while delivering new short-form content over time. Prior to this deal, MTV content was available only via the MTV China channel. Fred Chong, Group CEO of WebTVAsia remarked, "As a content creation company reaching audiences in China and Asia since 2005, we understand the culture and consumption trends of these markets. Hence, our unique leading position bridging China partners like Tencent, Baidu, Toutiao, NetEase, Weibo, Youku and iQIYI to global content partners. I'm pleased to be partnering VIMN in expanding business together in China." WebTVAsia is the leading media entertainment group in Asia with regional presence in 11 countries: Australia, China, Hong Kong, Indonesia, Japan, Korea, Malaysia, Singapore, Taiwan, Thailand and Vietnam. It has diversified businesses in film & TV production, music studio, platforms & networks, creator & artiste management, events & experiences and media marketing. As an official partner of YouTube, Google, Facebook, Tencent, Alibaba’s Youku-Tuduo, Baidu, Bytedance’s Jinri Toutiao and NetEase, WebTVAsia manages over 3,000 premium video channels that command 270 million subscribers globally with 25 billion minutes of watch time every month. The Malaysia-founded group is also famed for creating the global viral music video hit, Little Apple of China; Asia’s foremost digital creator award show, WebTVAsia Awards since 2015; and the most influential digital music festival, Viral Fest Asia since 2016. Its forward thinking vision of “Celebrate Asia” is the brainchild of WebTVAsia founder and Group CEO Fred Chong, to bring together the best creative talent in Asia and showcase their most outstanding content to the world.